Stanford staff members Nina Holley MEd ATC, Assistant Athletic Trainer, and Tomoo Yamada MA ATC, Associate Director of Athletic Training, recently attended The World Federation of Athletic Training and Therapy World Congress in Dublin, Ireland. 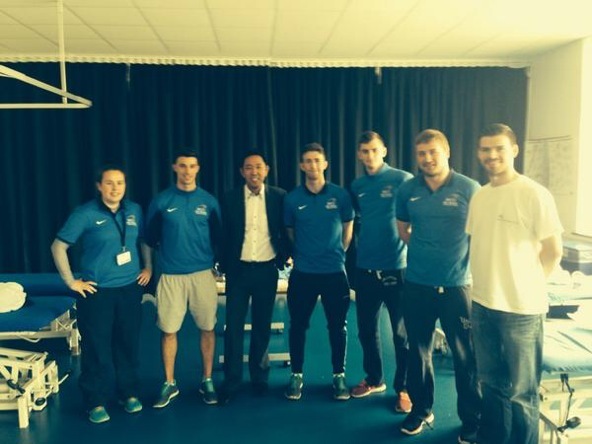 The conference was held from September 4th-6th at Dublin City University and focused on “The Sporting Hip, Groin, and Hamstring: A Complete Picture.” Holley and Yamada met with students and clinicians from all over the world. Dr. Amy Silder, the Associate Director of the Human Performance Lab at Stanford, was a keynote speaker at the event as well. Also at that event, Representatives from the BOC, Canadian Athletic Therapy Association (CATA), Athletic Rehabilitation Therapists of Ireland (ARTI) convened to sign the international mutual recognition agreement (MRA). Under the agreement, the national certification bodies for athletic training and athletic therapy in all three countries will recognize each other’s education and certification standards. The MRA, signed at the Joint Ireland Faculty of Sports Exercise Medicine and World Federation of Athletic Training and Therapy (WFATT) Conference, allows for a certified professional in one country to practice in another signatory nation following the successful completion of the respective nation’s examination.